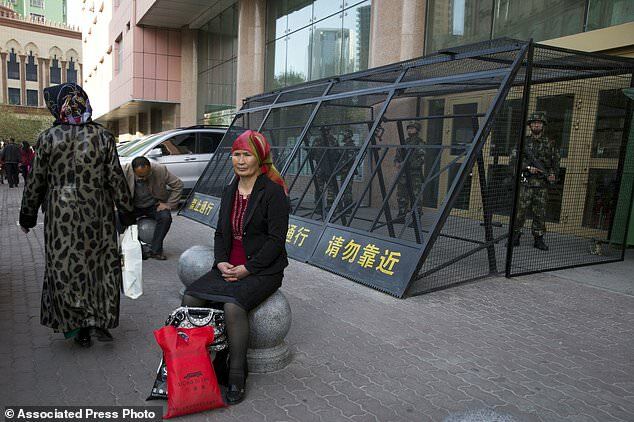 China has faced strong criticism recently for its treatment of members of the Muslim Uighur community. According to the ruling Communist Party’s official newspaper, as of the end of September, 1.1 million local government workers have been deployed to ethnic minorities’ living rooms, dining areas and even Muslim prayer spaces. The chilling intrusion at the hands of the government are taking place in China’s far west region of Xinjiang, home to the predominantly Muslim, Turkic-speaking Uighurs. The community have long reported discrimination at the hands of the country’s majority Han Chinese. While government notices about the ‘Pair Up and Become Family’ program portray it as an affectionate cultural exchange, Uighurs living in exile in Turkey said their loved ones saw the campaign as a chilling intrusion into the place they once felt safe. They believe the program is aimed at coercing China’s 10 million Uighurs into living secular lives like the Han majority. Anything diverging from the party’s prescribed lifestyle can be viewed by authorities as a sign of potential extremism – from suddenly giving up smoking or alcohol, to having an ‘abnormal’ beard or an overly religious name. ‘The government is trying to destroy that last protected space in which Uighurs have been able to maintain their identity,’ said Joanne Smith Finley, an ethnographer at England’s Newcastle University. In one photo provided by Ablikim Abliz of his uncle’s family, an unknown man is seen standing next to them. 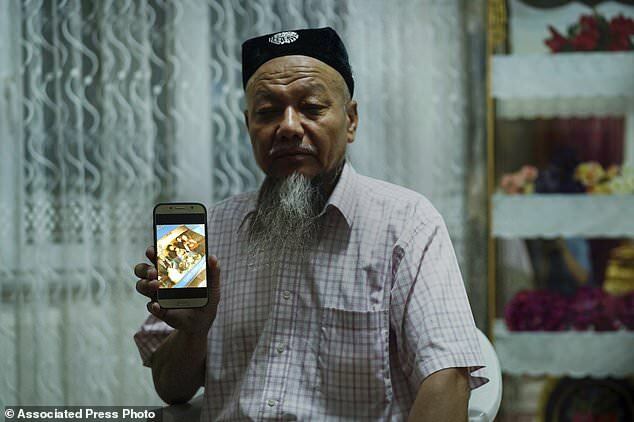 Mr Abliz heard the Han Chinese man was part of a government homestay program meant to monitor his relatives and part of a broader crackdown on religious expression in China’s far western region of Xinjiang. 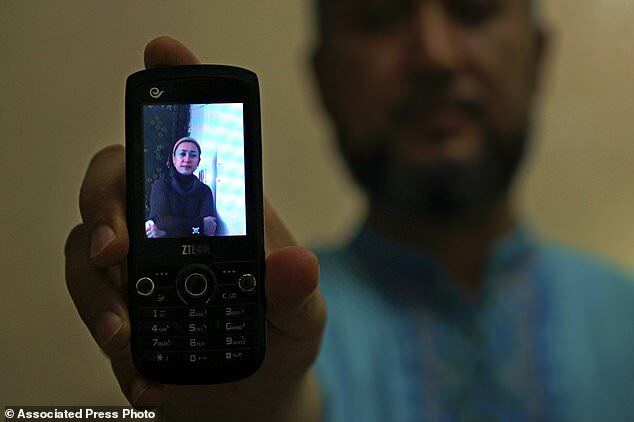 The Uighurs abroad said their loved ones were constantly on edge in their own homes, knowing that any misstep – a misplaced Quran, a carelessly spoken word – could lead to detention or worse. Tensions between Muslim minorities and Han Chinese have bubbled over in recent years, resulting in violent attacks. The fierce government crackdown on broadly defined ‘extremism’ has placed as many as one million Muslims in internment camps, according to estimates by experts and a human rights group. Last December, Xinjiang authorities organised a ‘Becoming Family Week’ which placed more than one million cadres in minority households. Government reports on the program gushed about the warm ‘family reunions,’ as public servants and Uighurs shared meals and even beds. A different photo showed two women ‘studying the 19th Party Congress and walking together into the new era’ – a nod to when Xi’s name was enshrined in the party constitution alongside the likes of Deng Xiaoping and Mao Zedong. Becoming Family Week turned out to be a test run for a standardized homestay program. The United Front, a Communist Party agency, indicates in the notice that the program is mandatory for cadres. Cadres, who are generally civilians working in the public sector, are directed to attend important family events such as the naming of newborns, circumcisions, weddings and funerals of close relatives. They must have a firm grasp of each family member’s ideological state, social activities, religion, income, their challenges and needs, as well as basic details on immediate relatives, the notice said. 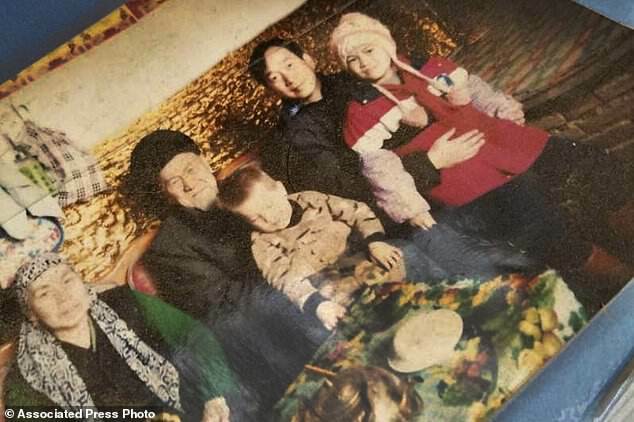 Overseas Uighurs said the ‘visits’ to their relatives’ homes often lasted longer than five days, and they were closely monitored the whole time. The cadres would ask their family members where they were going and who they were meeting whenever they wanted to leave the house. 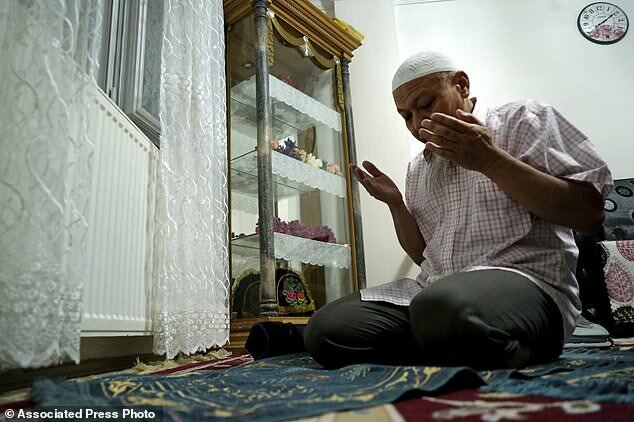 ‘They couldn’t pray,’ said Abduzahir Yunus, a 23-year-old Uighur originally from Urumqi, Xinjiang’s capital. Yunus, who now lives in Istanbul, said his father used to lament to him about being visited three to four times a week by the administrator of his neighborhood committee, a middle-aged Han Chinese man. The surprise house calls began in 2016, and it was ‘impossible to say no,’ Yunus said. 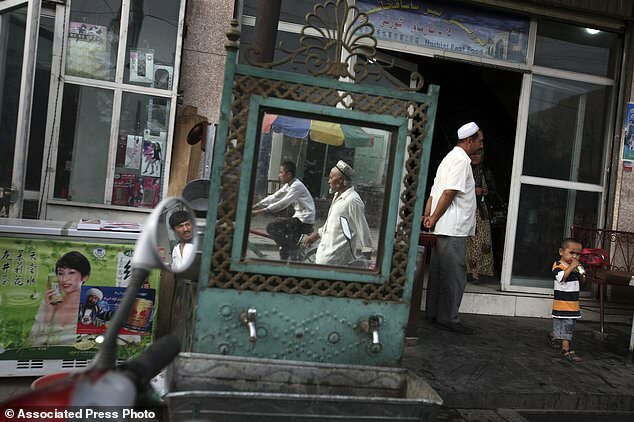 Uighurs said they were particularly repulsed by the thought of male visitors living under the same roof as their female relatives and children – a practice contrary to their faith. Women and kids are sometimes the only ones left at home after male family members are sent to internment camps. Such marriages are highly publicised. Earlier this year, Ablikim Abliz studied a photo of his uncle’s family gathered around a table. Clad in thick winter jackets, his uncle and the smiling Han Chinese man beside him both held chubby-faced children in their laps. The 58-year-old Abliz said his entire extended family in China has been sent to internment camps. When he saw his uncle’s photo, his first reaction was relief. If his uncle had been assigned a Han family member, Abliz thought, that meant he was safe. But the consolation was short-lived. A friend who tried to visit his uncle in Turpan this summer told Abliz that his uncle’s front door was boarded up and sealed with police tape. Abliz has not been able to reach any of his family members since.